Eti Musa refused to pick Kerr’s calls! Who is Musa Mohammed compared to Kerr? It is like Toure refusing to pick Gurdiola’s calls. Kerr has apologised over the purported remarks and Musa ought to be civilised enough to forgive. Only fools don’t change their minds. The worst thing you can do in Kenya is to entertain Kenyan journalists. Ask one D.Oliech. They painted a picture that he is broke and dying. Your problem is that you have picked up the role of “spokesman”. Shut the door while you still have time… before they link you to Donald Trump. Maybe Kerr needs to talk less else he will always be misquoted. Mara it’s FKF’s Nick, mara Musa, mara Bonnie. The less he talks the more he will be mysterious. The office is also contradicting him at every opportunity. On the issue of finances the club is halting or is already grounded. At this point we are now waiting for Sakaja, Sonko or Moses Kuria to bail out the team. Once they do so the ‘owners’ of the team will come out to tell us how they don’t need ‘outside’ help to run ‘their’ team. Unless we professionalize the team and ‘sell’ part of it to an investor we will still continue walking around with a begging bowl. And that’s how we will never compete favourably in Africa. This membership thing can really help but do we just become members for the sake of it? What differentiates a member and a fan. Any benefits? My Advice to Musa – Kerr is in charge and mandated by GOR THE FANS. Please pick his calls. If you miised the call, please call him back. GOR require civility. Musa and Kerr may come and Go. GORians (GOR THE FANS) also come and go but 1968 GOR is bigger than all of us. Gor Players are threatening not to honour Thika fixture on Sunday unless their August salaries are paid upfront and outstanding winning bonuses dating back 6 matches are cleared by tomorrow. They have also missed training the whole week. Sally Bolo are we that broke? Where is 3.8M derby collections….12M Walusimbi transfer fees…12.5M balance of Caf group stage monies…SportPesa Sponsorship balance of our annual package? What is wrong in GM EC that we always embarass ourselves this much. If ingwe is not begging thus far with only SportPesa package sufficing then what is happening at GM? And then they are telling us to use our hard earned money to register as members! If they can’t account for the club’s finances how foolish are we to give more money? Gor Mahia players maintain stand: No money and we will not face Thika United! The match between Thika United and Gor Mahia might not go on as scheduled if the latter’s players make good their threat of not honoring the match. K’Ogalo players have not been training for a week now, demanding for their August salary that has been delayed. A senior player, who did not wish to be mentioned, has told Goal that he will not play against the milkmen as it stands. 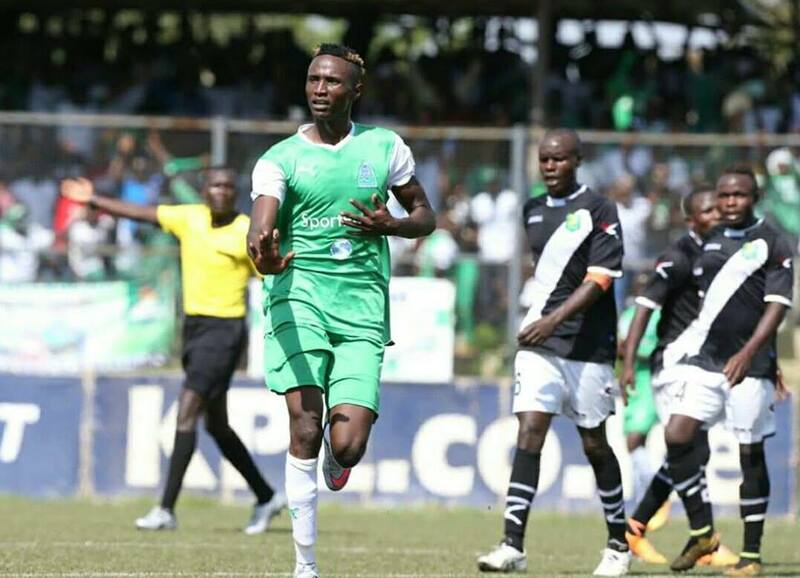 When reached for comment, Gor Mahia team manager Jolawi Obondo revealed that the league match will go on as planned and that players will train as from Friday, but he refused to reveal whether they have been paid or not. Saturday fixtures: Chemelil Sugar vs Mathare United (Chemelil Sports Complex) Nakumatt FC vs Kariobangi Sharks (Camp Toyoyo) and AFC Leopards vs Posta Rangers (Machakos). Sunday fixtures: Thika United vs Gor Mahia (Thika), Kakamega Homeboyz vs Nzoia Sugar (Bukhungu), Vihiga United vs Sony Sugar (Mumias), Ulinzi Stars vs Wazito (Green Stadium), Bandari vs Zoo (Green Stadium). 3 fitness coach and lastly 4 assistant coach who will be the 2nd assistant to the head coach. Some pple may say that even Zico is for the chairman but Zico is the only coach who is in the technical bench on merit as Kerr’s assistant. We’ve a problem in goalkeeping because of that goalkeeping coach whose reputation is tainted by bribery. Hi mngnt ya gor ata ina boo..each and everytime ni strike kwa playesrs. no need for panic…I have been assured by the powers that be that payment to players will be made tomorrow morning and another 50% on monday so dont panic just yet! @Jasego and all fans/bloggers that means well for the club, we need to overhaul the entire Executive Committee of Gor Mahia with some fresh minds particularly with people that can do corporate fund raising for the team. I think Ambrose Rachier is now lethargic with zero ammunition to inspire the team. My thought can we get out from election during AGMs to a more structured approach of nomination and instead get board of directors with specific tasks of turning the club into a fully fledged professional corporate football team in the order of Juventus, Arsenal, Manchester United, Barcelona, Real Madrid etc. We can float the shares of Gor Mahia privately to members than relying on some chairman or officials’ pocket. I know it is a difficult task but with right mind set, public relations and intensive marketing we can do it. 1. Board of Directors to be chaired by the non-executive Chairman. The board can comprise of seven directors. The objective of the board should be in articulation of strategies with strategic objectives that is to be implemented by the management team. The board should offer oversight roles in the execution of different strategic objectives. Gor Mahia is a gold mine and has greater potentials even in terms of procuring merchandising and distributing them to all points of sale with target sales being given to the management team by the board of directors.